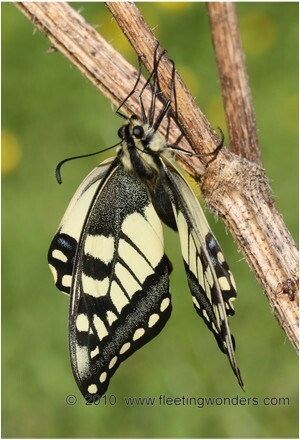 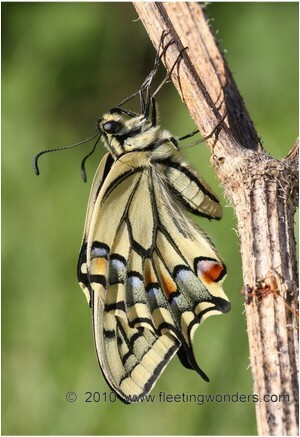 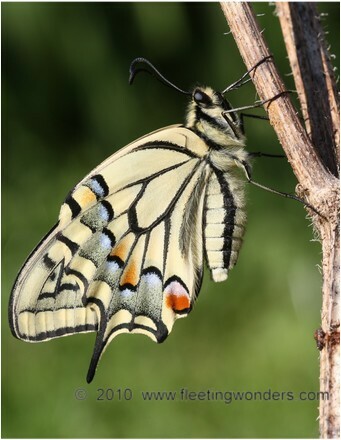 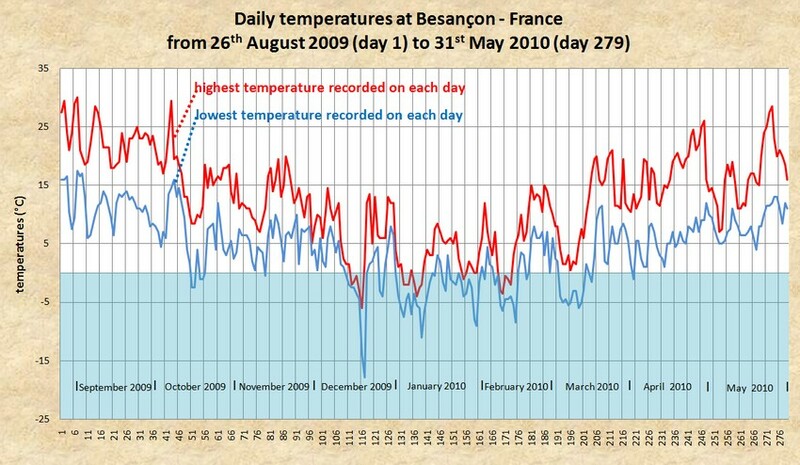 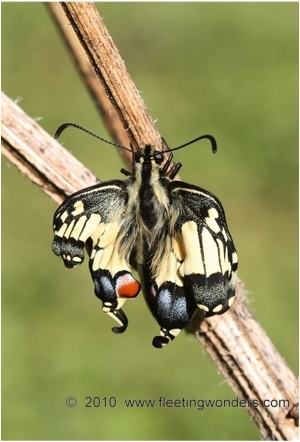 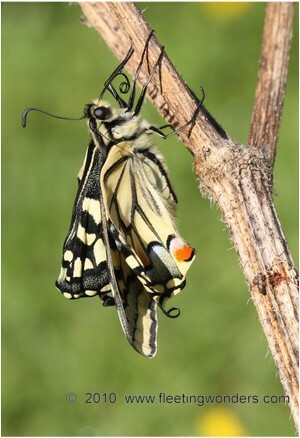 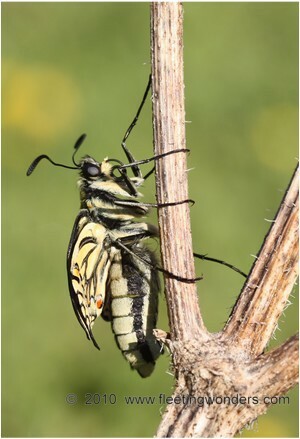 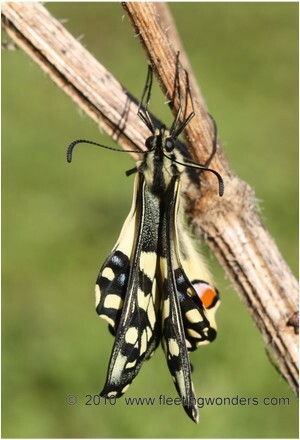 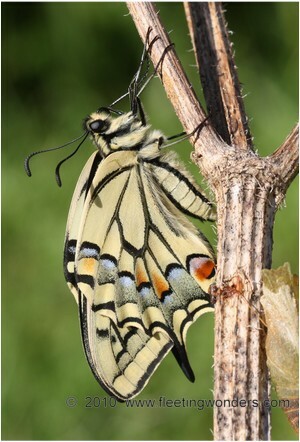 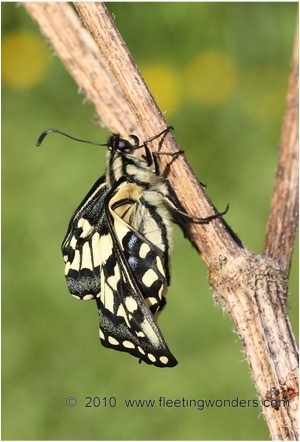 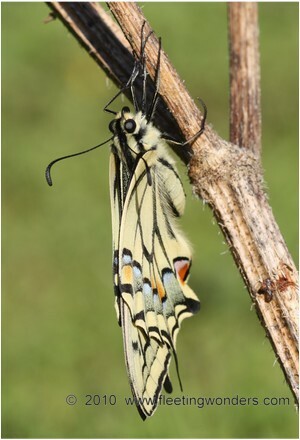 This caterpillar of Papilio machaon was seen near Besançon (Doubs - France) on the 25th of August, 2009. 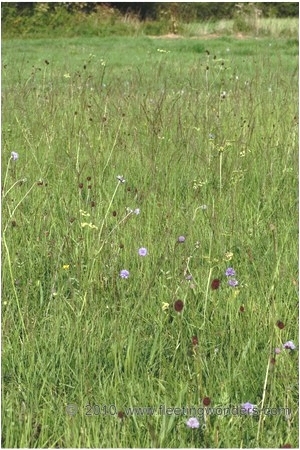 The natural habitat was here a damp meadow where were growing Sanguisorba major, Succisa pratensis. 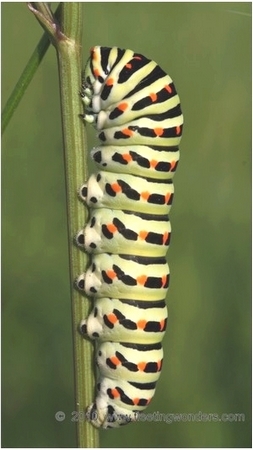 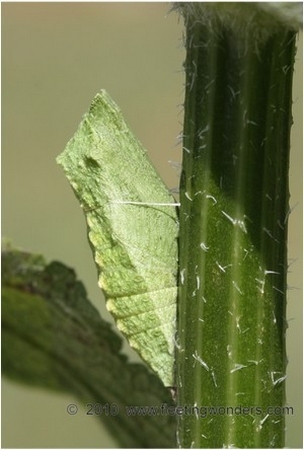 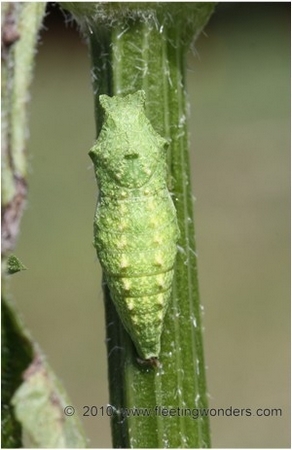 The larva was found on a flower head of Silaum silaus (Apiaceae) which was probably used as a foodplant in that case. 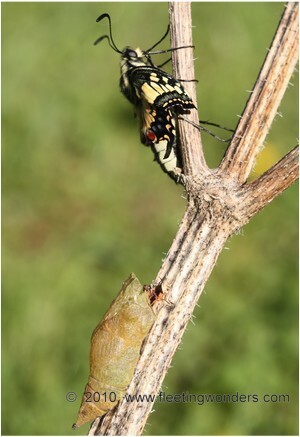 From this moment began a long period of apparent sleep for the insect. 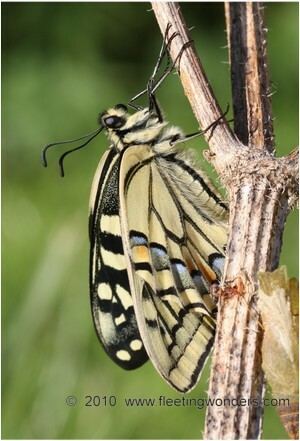 Time of shot : 07:43 a.m. 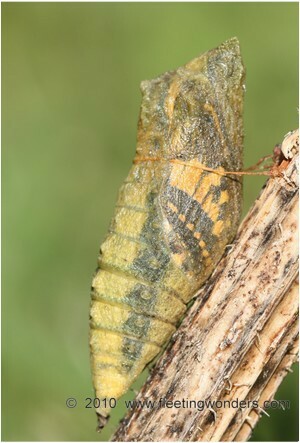 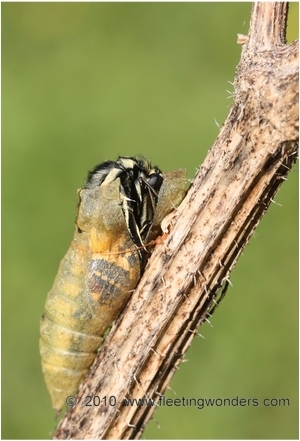 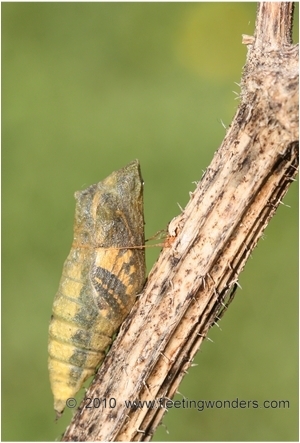 The following pictures show the rapid changes undergone by the insect while unfolding its wings.....it spontaneously took off at 08:55 a.m. and flew away. 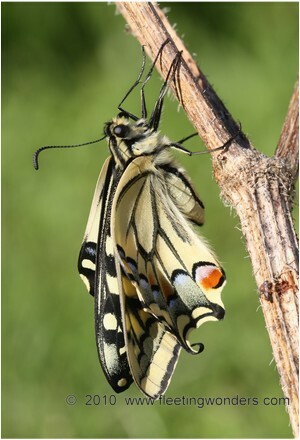 Good luck to you, Swallowtail ! 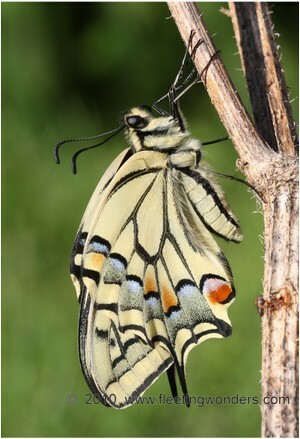 Time of shot : 07:44 a.m.
Time of shot : 07:46 a.m.
Time of shot : 07:47 a.m.
Time of shot : 07:48 a.m.
Time of shot : 07:49 a.m.
Time of shot : 07:52 a.m.
Time of shot : 07:55 a.m.
Time of shot : 07:58 a.m.
Time of shot : 08:02 a.m.
Time of shot : 08:04 a.m.
Time of shot : 08:13 a.m.
Time of shot : 08:50 a.m.